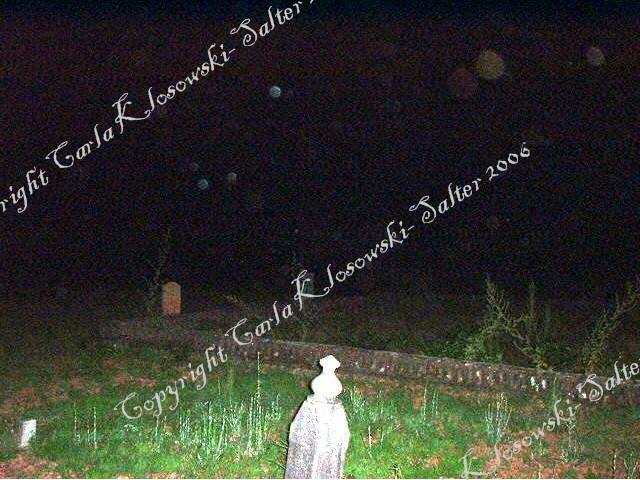 Here is another cemetery that I have started to investigate. It is the Bullard Baptist Church cemetery. I went out there around the 4th of Aug 2006 and took a few preliminary test shots of the area and these are a few samples of what I came back with. It would seem that this place would be subject to some paranormal activities as well. 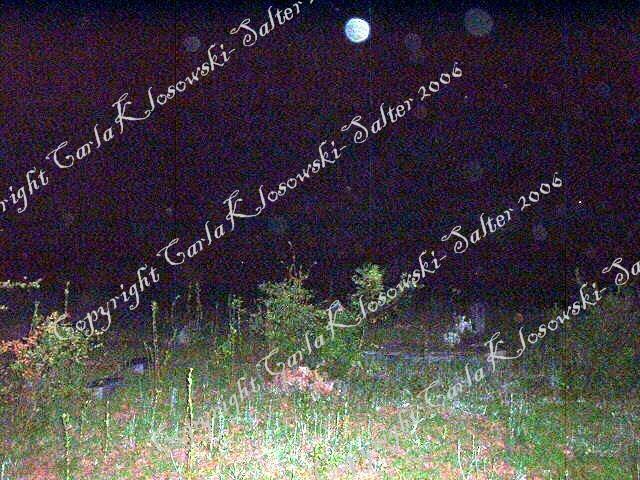 These are some of the orbs I photographed while I was there. The night was clear, the moon was waxing at 3/4 and it was all quiet on the road bypassing the church yard. I took care moving about there, so as not to damage any headstones or step on any grave sites. Here are just a couple of my initial images. I plan on going back in the next few weeks and seeing if I can record any EVP activity and collect some more photographic evidence. Subscribe to the Ghost Writings Quarterly newsletter!